Yes, our resident cute koalas call the Koala Rooftop home at WILD LIFE Sydney Zoo. While you can view these beautiful creatures in their exhibit at any time, we do offer special Koala Encounters for a more up-close experience. Koala Talk: a free keeper-lead informative session held at the Koala Rooftop. Check times here. Koala Encounter: meet our koalas with an up-close encounter and photo session. Add your Koala Encounter to your general admission ticket during checkout. Book online for the best savings. Koala Breakfast: the Koala Breakfast provides a once-in-a-lifetime opportunity to meet our iconic Australian koalas. Join our koala family during a buffet-style breakfast in our gumtree-lined Koala Rooftop. Book this experience online for added discounts. 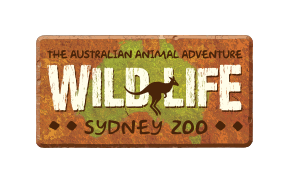 While these experiences offer an up-close look at these amazing animals, NSW law prohibits touching koalas. For the safety of our animals and guests, trained staff members will be present throughout each of the experiences. Zoo Keeper Tip: While these animals can sleep up to 20 hours a day, morning is peak playtime for koalas.